Because they can vote for Tweedledum or Tweedledee, the red team or the blue team, or the welfare statist or the warfare statist, Americans think they live in a free society. Are they free? Is it free? I recently saw that the first legal bare-knuckle boxing bout in the United States was held in over a hundred years. A sellout crowd of 2,000 fans plus a pay-per-view audience around the world watched ten bare-knuckle matches, including four heavyweight bouts, on June 2 at the Cheyenne Ice and Events Center on the outskirts of Cheyenne, Wyoming. The fight card included mixed-martial arts fighters, boxers, and street fighters. One of the bouts was between two women. Two doctors were at ringside and two ambulances were parked outside. The fight rules are similar to professional boxing. Only punching is allowed. There is a referee. There are five, two-minute rounds. There is a standard eight-count and a three-knockdown rule in effect. The promoter, David Feldman, a former boxer who worked for seven years to legalize bare-knuckle fighting, said he was rejected by 28 states before Wyoming finally agreed to sanction it. The Wyoming State Board of Mixed Martial Arts, created in 2012, gave approval for the bare-knuckle fighting in March. So, what does the reintroduction of bare-knuckle boxing have to do with America being or not being a free society? No matter how poor, sick, or destitute a man is, if he owns anything, he owns his own body. The state doesn’t own it. Society doesn’t own it. The public doesn’t own it. And neither does some government agency or bureaucrat. As the owner of his body, he should be free to do whatever he wants with it as long as his activities are peaceful, his interactions are consensual, his associations are voluntary, and his actions don’t aggress against the person or property of anyone else. He should be free to groom it, mutilate it, prostitute it, feed it, starve it, pierce it, strengthen it, cut it, disfigure it, tattoo it, deprive it, alter it, injure it, harm it, pamper it, neglect it, or otherwise use it as he sees fit. Again, as long as his activities are peaceful, his interactions are consensual, his associations are voluntary, and his actions don’t aggress against the person or property of anyone else. Not being able to publicly, freely, voluntarily, and consensually engage in bare-knuckle boxing with a like-minded individual is a fundamental violation of basic human rights. What makes government bans on bare-knuckle boxing even worse is that other forms of fighting might be even more dangerous. Especially MMA fighting. It’s just like the government demonizing marijuana even though alcohol and tobacco kill hundreds of thousands each year. The fact that nanny statists and puritanical busybodies want to the government to continue to ban bare-knuckle boxing is of no consequence. Those with objections to bare-knuckle boxing have the right to try to persuade others not to promote it, participate in it, attend it, or watch in on pay-per-view. That’s it. They do not have the right to use the government to ban it. It is not the job of the government to decide what risks Americans are allowed to take and what kinds of behaviors they are allowed to engage in. It is an illegitimate function of government to try to keep people safe from their own actions. Government should never punish individuals for engaging in, or businesses for facilitating, peaceful, voluntary, and consensual actions that do not aggress against the person or property of others. And it goes without saying that there should be no state athletic boards or commissions. This should all be handled by the private sector. Laurence M. Vance [send him mail] writes from central Florida. 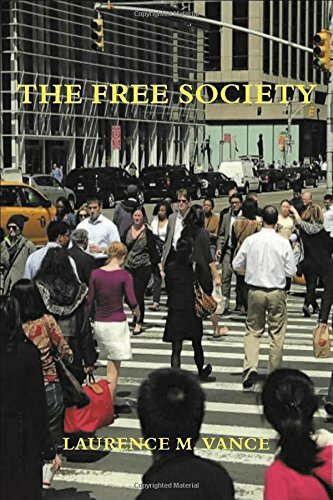 He is the author of The War on Drugs Is a War on Freedom; War, Christianity, and the State: Essays on the Follies of Christian Militarism; War, Empire, and the Military: Essays on the Follies of War and U.S. Foreign Policy; King James, His Bible, and Its Translators, and many other books. 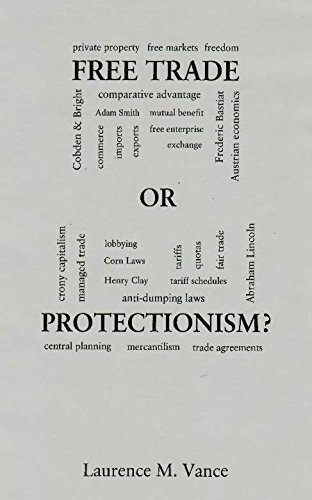 His newest books are Free Trade or Protectionism? and The Free Society. Do You Struggle To Get a Good Night’s Sleep?